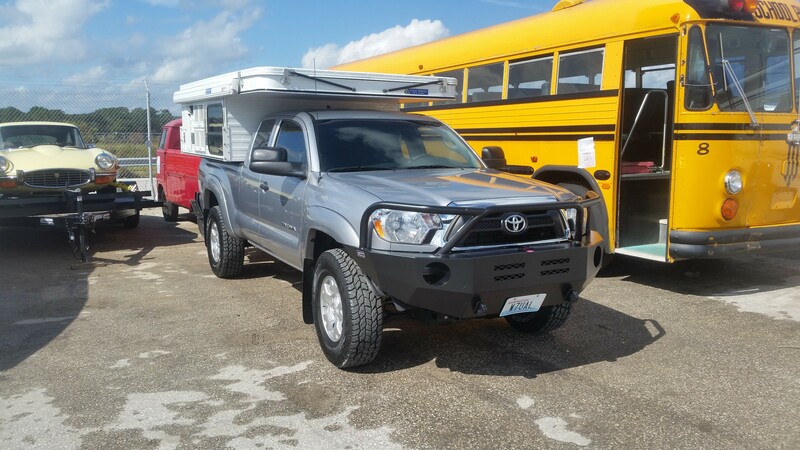 The vehicle is a 2015 Toyota Tacoma Access Cab 4×4 with a 2015 Four Wheel Camper Fleet model with front dinette. Modifications include upgraded Hellwig rear leaf spring package, Firestone Ride-Rite air bags and Aluminess bumpers front and rear. Shown on the wharf in Jacksonville, Florida, just dropped off. Hope to see you again a month from now in Argentina?